You felt it before your presentation. You felt it when the teacher put you on the spot. You felt it when you heard the words “random partners”. You felt it when the phone rang. You felt it at a table full of peers while you picked at your fried-chicken. It punches you in the mouth, knees you in the gut, and kicks you in the head until you’re nothing more than a sad and hollow, trembling lump on the floor. Then it spits on you and calls you trash. You have felt it. And you know it well. Its first name is Social and it’s last is Anxiety, and it’s been picking on you for as long as you can remember. It is time… for it… to go. First, before one can begin their journey to overcome social anxiety, you must understand introversion is not the same as social anxiety. Introverts are people who focus on their own internal thoughts and feelings. They are stimulated by deep conversations, often prefer the company of a few good friends rather than that of many, and need time alone to recharge. While extroverted people are the opposite. They are stimulated by lots of conversation, deep or not, and gain energy from being around people. Social anxiety, however, is the intense fear or nervousness before, during or after social situations. It is the terror of possible judgment, embarrassment, and humiliation. Before jumping into a social situation, one will often run through all the possible negative outcomes in their heads, and after surviving one, over analyze the flaws in their performance. www.mayoclinic.org states that physical symptoms may include: trembling, sweating, muscle tension, trouble catching your breath, upset stomach and nausea, fast heartbeat, muscle tension and the feeling that your mind has gone blank. If left untreated, it can cause low self-esteem, trouble being assertive, hypersensitivity to criticism, poor social skills, isolation, low academic achievement, substance abuse, and even suicide or suicide attempts. Neither introverts or extroverts are safe from this, and neither are bound to it. Many people who misunderstand this, stamp “introverted” over their social anxiety as an excuse to why they cannot speak in public or dig into your fried chicken. It hides the true enemy behind the disguise of a natural and unchangeable personality trait, which eventually leads to a person giving up on their lives. Why bother changing something you can’t fix? Do not fall for it! Next, it is speculated that for most cases, social anxiety is formed from a certain set of misguided ideas. The School of Life, an association of psychologists who discuss philosophy and psychology with people around the world, explained in their article, “How to Overcome Shyness”, that the cause of shyness is the mindset that everyone is alien. That no one can think, or feel as another does because they do not see it written on their foreheads. This is one leg of social anxiety. The other is the fear that you are weird, (since you only live in your own head every day) and that everyone else will think so, too. These are both lies. You are not alone. 31.9% of adolescents and 31.1% of adults have or are currently suffering from an anxiety disorder. Other’s minds can be just as wild, chaotic, and stressful as yours. You are not alien. You are one small part of the big and lovable mess that is the human race. All humans want the same thing at heart. To be loved, to be accepted, to be understood, to be free and to be happy. Make that your new truth. Humans don’t want to hurt you. 99.9% of the time, people do not want to make you unhappy. They are most likely too busy worrying whether or not you like them. They do not want you to think that they are mean or aloof. Most likely they have their own set of anxieties brewing up in their head. They are not out to get you. But, that does not mean that you will never have a bad day. One day someone might suddenly snap at you for saying hello to them. Do not blame yourself. A rejection is not a rejection of the whole of your existence and is rarely personal. Be proud that you took a risk and marvel at how you survived. Here are some more tips on how to overcome social anxiety, suggested by www.helpguide.org. Personalizing – Assuming that people are focusing on you in a negative way, or that what’s going on with other people has to do with you. When in social situations, whether it be a party or a simple conversation, focus your attention on other people, not on yourself or on what they might be thinking of you. What are they saying? What are they doing? What are they wearing? What color are their eyes? Also, release the pressure to be perfect, because you never will be. No human is. Instead, think about and appreciate the genuine, quirky little things that make you the wonderful human being that you are. Start by sitting in a comfortable position, preferably, with your back straight and your shoulders relaxed. Take in a slow and deep breath through your nose for 4 seconds. Your stomach should rise when you do this. To tell, put one hand on your chest and the other on your stomach. Now, hold for 2 seconds. Slowly release the breath through your mouth for 6 seconds. The hand on your stomach should move in, more than the one on your chest. Continue this. The key to facing your fears is to take baby steps. Don’t tackle your biggest fear right off the bat. Pushing yourself too far, too fast may backfire and make you even more anxious. When you start to feel the terror rising up, remember the tips listed above. Challenge negative thoughts, focus on others instead of yourself and control your breathing. Practice these things in your everyday life. 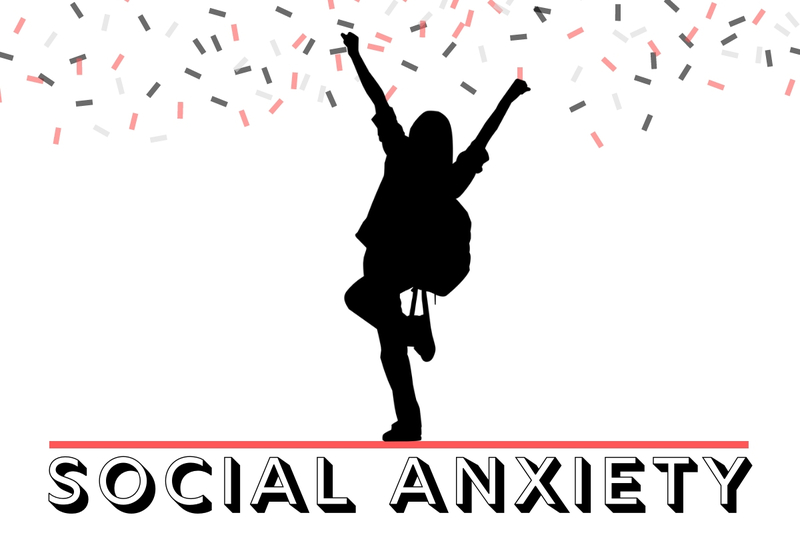 Social anxiety does not have to control you. 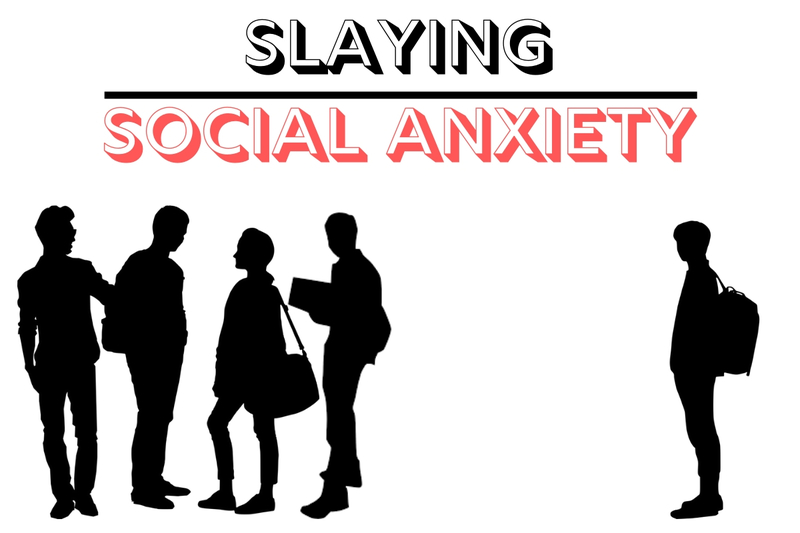 Slay social anxiety. Dance on its grave. You have the power to take back the wheel of your life and steer it down the path you want to go. Do not let fear hold you back. Life is very short, so live it as you as you can be.